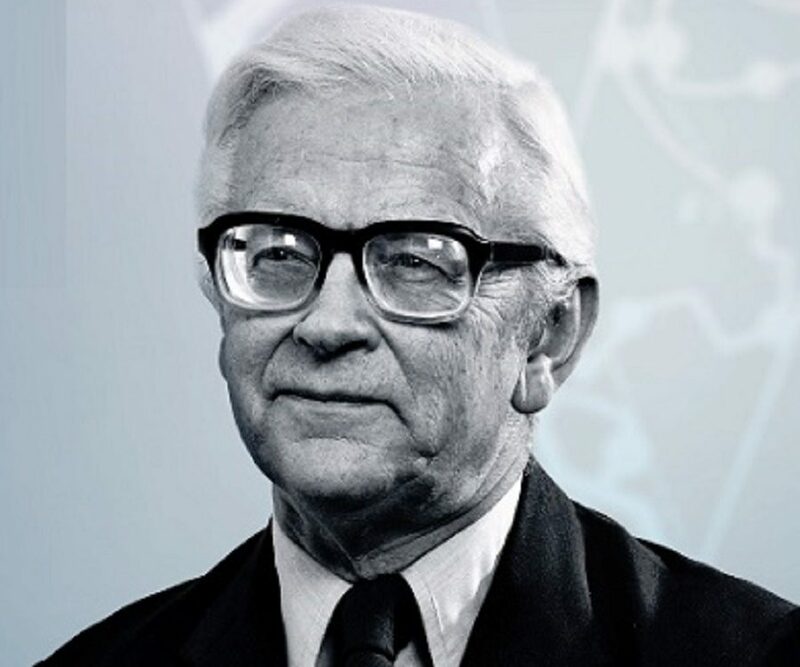 John Kendrew was an English biochemist and crystallographer who, along with Max Peutz, was one of the co-recipients of the 1962 Nobel Prize in Chemistry. Check out this biography to know about his childhood, life, achievements, works & timeline. 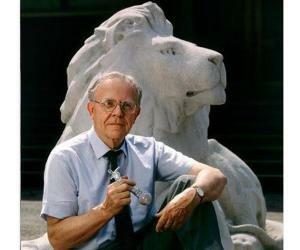 Sir John Cowdery Kendrew was an English biochemist and crystallographer who, along with Max Peutz, was one of the co-recipients of the 1962 Nobel Prize in Chemistry. The duo won the award for their studies of the structure of globular proteins. Born into an educated and cultured family in Oxford, John Kendrew graduated IN chemistry from Trinity College in the year World War II broke out. Subsequently, he spent the war years with the Royal Air Force as honorary Wing Commander. Afterwards, he joined the Cavendish Laboratory and there he began to work on hemoglobin with Max Ferdinand Perutz. Later his interest shifted to myoglobin and after years of intense research he was able to devise its complete structure, for which he later received the Nobel Prize in Chemistry. Apart from an outstanding researcher, Kendrew was also an excellent administrator and held many important positions simultaneously. While he was still graduate student, he helped to establish Medical Research Council Unit at the Cavendish Laboratory and held important positions there. Much later, he became the founder member of European Molecular Biology Organization and founded and ran its laboratory at Heidelberg. For many years, he also acted as the editor-in-chief at the Journal of Molecular Biology. He was also a thorough gentleman and was much revered by the scientific fraternity. 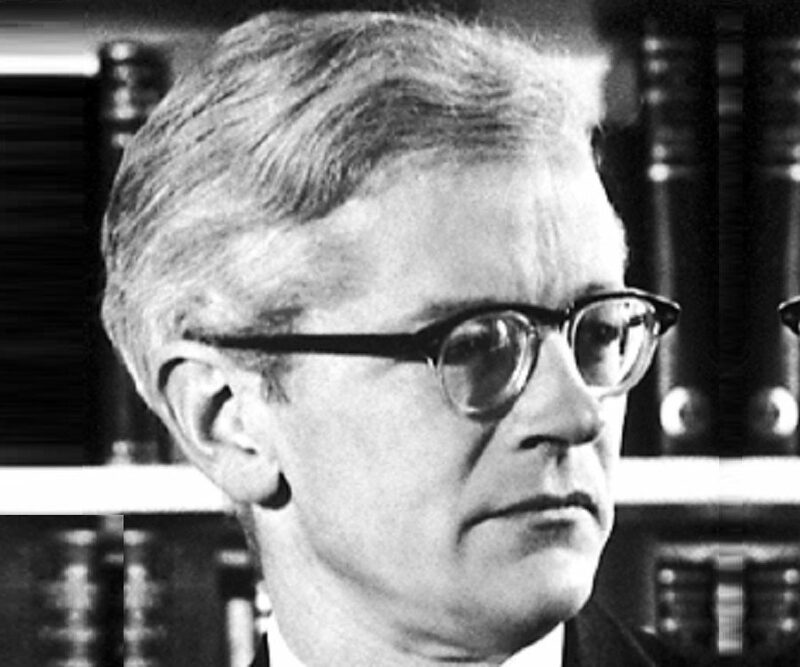 Sir John Cowdery Kendrew was born on 24 March 1917, in Oxford, U.K. His father, Wilford George Kendrew, was a reader in climatology in the University of Oxford. His mother, Evelyn May Graham Sandburg, was an art historian. For many years she lived in Florence, where she published works on the Italian Primitives. In 1923, John Kendrew began his education at Dragon School, a well-known preparatory school in Oxford. He studied there until 1930. Afterwards he was sent to Clifton College, a co-educational independent school located in the port city of Bristol, for his secondary education. At Clifton College, special emphasis was laid on science, rather than classical studies as was the norm those days. He passed out from there in 1936 and subsequently, received admission at Trinity College, Cambridge as a Major scholar. In due course, he took the Tripos Part I in Chemistry, Physics, Mathematics and Biochemistry and became a Senior Scholar in Natural Sciences. Finally he graduated in 1939, taking Tripos Part II in Chemistry. Soon after this event, the World War II broke out and Great Britain got involved in it. John Kendrew spent first few months of the war doing research on reaction kinetics under the supervision of Dr. E.A. Moelwyn Hughes. Subsequently, he became a member of the Air Ministry Research Establishment, which was later renamed as Telecommunications Research Establishment. Here he worked mainly on radar. From 1940, Kendrew began working on operation research under Sir Robert Watson-Watt at the Royal Air Force Headquarters and held the honorary rank of Wing Commander. Later, he was posted in the Middle East and subsequently in the South East Asia. While in Ceylon (now Sri Lanka), he met the John Desmond Bernal, the great structural chemist and later scientific adviser to Lord Mountbatten. 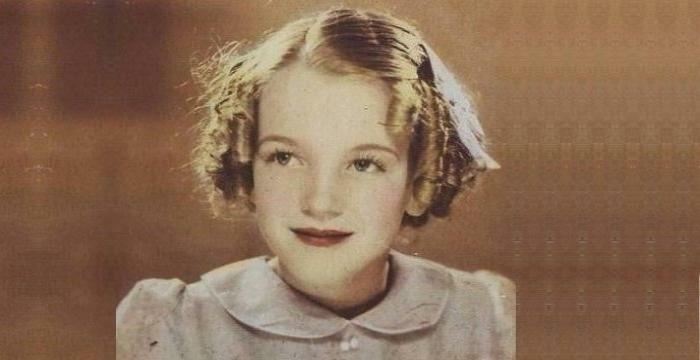 Later on, as he was coming back to England after the surrender of Japan, he also met Linus Pauling at the California Institute of Technology, Pasadena. Both these scientists were greatly interested in protein and persuaded Kendrew to switch to biology. Influenced by their knowledge and enthusiasm, Kendrew decided to start working on the structure of proteins even before he reached home. In 1946, on coming back to England, John Cowdery Kendrew approached Max Ferdinand Perutz. Perutz was a student of J. D. Bernal (whom Kendrew had met in Ceylon) and was working on structure of hemoglobin at the Cavendish Laboratory at that time. Some time now, he also met Joseph Barcroft, an English physiologist, best known for his study on oxygenation of blood. Barcroft suggested that Kendrew might make a comparative protein crystallographic study of adult and fetal sheep hemoglobin. 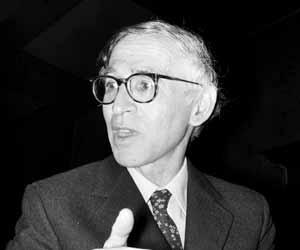 Subsequently, Kendrew began his doctoral research under Perutz, who also taught him the elements of crystallography. Concurrently, they also began to work together under the direction of Sir Lawrence Bragg. In 1947, while he was still working on his doctoral thesis Kendrew became a Fellow of Peterhouse. In the same year, he and Perutz established Medical Research Council Unit for Molecular Biology in the Cavendish Laboratory under the guidance of Sir Lawrence Bragg. 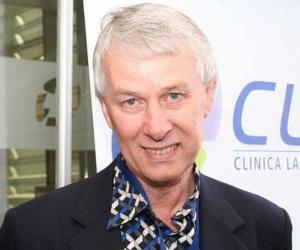 Subsequently, Kendrew became its Deputy Director and held the position till 1975. Meanwhile, Kendrew and Perutz continued their work on the structure of sheep hemoglobin. Later, when the resources became scarce, Kendrew began to work on myoglobin, an iron and oxygen binding protein found in the muscle tissue of vertebrates. It is closely related to hemoglobin, but is much smaller in size. In 1949, Kendrew received his PhD degree. However, he carried on his work on structure of myoglobin because he was yet to determine its crystalline arrangement. Initially, he faced a lot of problems in that. In 1953, Perutz discovered a new technique called ‘multiple isomorphic replacements’ that was capable of solving the phase problem. Kendrew applied this technique to the simpler molecule myoglobin. Before Kendrew could succeed in this project, he and Perutz moved with Bragg to Royal Institution in London. 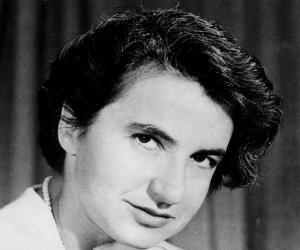 In 1954, both of them were appointed as the Honorary Readers of the Davy Faraday Research Laboratory at the Royal Institution. They held their respective posts till 1968. Meanwhile, they continued with their research work. In 1957, after taking thousands of photographs and measurements, Kendrew was able to unravel the structure of protein myoglobin. However, the pictures were still very blurred and therefore Kendrew kept on working on them. By 1959, after many more photographs and measurements, Kendrew was able to achieve a very high resolution. Most of the atoms in the myoglobin molecule were now clearly visible. He worked further on it and was able to determine the location of each atom in the molecule very soon. Shortly, Perutz, who had been working on hemoglobin, was also able to describe its structure. More importantly, it was found that the helical chains that Kendrew found in myoglobin were also present hemoglobin. This stimulated activity in molecular biology all over the world. From the beginning of 1960s, Kendrew became more interested in policy matters than in direct research. In 1963, he started working for the establishment of the European Molecular Biology Organization; becoming its founder member when the organization was launched in July 1964. In 1974, he successfully persuaded governments of different European countries to establish a European Molecular Biology Laboratory in Heidelberg. He became its first director, holding the post till 1981. In 1981, after his retirement from the European Molecular Biology Laboratory, Kendrew became President of St John's College at Oxford University, a post he held till 1987. Subsequently, he returned to Cambridge, where he was made an Honorary Fellow of both Trinity College and Peterhouse. Kendrew is best remembered for his work on myoglobin. Since it is found in the muscle tissue of vertebrates he first started working with horse heart, but later found that muscles from diving animals would be more suitable. Therefore he procured whale meat from Peru and started working with it. In 1957, using multiple isomorphic replacements technique and x-ray analysis, he was able to develop a three-dimensional model of the myoglobin molecule with 6A resolution. Not satisfied with the result, he continued with the work and in 1959, he was able to devise a more complete structure and show the arrangement of the amino acid units in it. In 1962, Kendrew and Perutz jointly received the Nobel Prize in Chemistry "for their studies of the structures of globular proteins". In 1965, he was awarded the Royal Medal by the Royal Society "in recognition of his distinguished contributions to the complete structural analysis of a protein molecule (myoglobin), particularly the biological aspects of this study." In 1974, Kendrew was made a Companion of the British Empire. In 1967, he became Fellow of the American Society of Biological Chemists and also an Honorary Member of the International Academy of Science. Kendrew was a life-long bachelor. He was also a very shy and private person with high artistic taste. Music, history of art and travelling through Italy were among his hobbies. After his retirement from St John's College at Oxford University, he returned to live in Cambridge. Here, he died on 26 August 1997, at the age of 80. On 16 October 2010, the University of Oxford opened the Kendrew Quadrangle at St John's College in Oxford in his honor. The answering message on Kendrew’s phone was, "Please be patient and I shall get back to you as soon as possible".